GRANTHAM Football Club has a long tradition of free-scoring centre forwards and one of the finest of them all was Mike Alexander. Originally on the books of Football League side Scunthorpe United, then Brigg Town, followed by Gainsborough Trinity. He was the first major signing made by legendary player-manager Terry Bly in the 1964-65 season and immediately began to repay Terry’s faith by scoring on his debut following a £300 transfer free. Over the next four seasons, he hit no fewer than 126 goals in 142 appearances, including four in an FA Cup tie against highly-fancied Londoners Hendon, who were the FA Amateur Cup holders at the time! By the end of that season Mike had amassed another 50 goals in only 48 appearances and his scoring rate continued in the next two seasons, even netting another 4 goals in one match, this time Matlock Town being the victims. 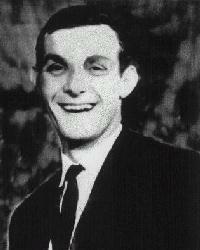 Mike went on to star for Terry Bly’s cup heroes in prestigious ties against the likes of Wimbledon and Oldham in 1967. His achievements saw him voted Anglia TV personality of the Year in 1968 and it was a huge disappointment (but perhaps no surprise) for Gingerbreads fans when arch-rivals Boston United paid a then-record transfer fee of £2,000 to take him to Northern Premier League football that year. From there he returned to Gainsborough Trinity, returning to London Road in the late 1970s in a reserve match.